Your bridal photographs in the lush beauty of a botanical garden. An open-air ceremony beside the Chinese Pagoda or the Waterfall Lawn, followed by cocktails on a classical terrace. A reception that is pure elegance in the Ballroom. All complemented by a level of personalized service simply unmatched in the region  including menus created just for you by talented Four Seasons chefs. Four Seasons Hotel Westlake Village is an unforgettable setting for your wedding in Southern California. 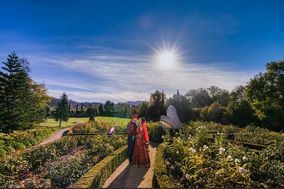 UNFORGETTABLE WEDDINGS Magical from beginning to end, Four Seasons newlyweds share their California wedding experiences with these stunning personal videos. Take a peek at the experiences our stellar team can help you create.